People always ask me what makes a quality sofa or sectional? I show them how Smith Brothers of Berne does it! Smith Brothers uses solid hardwood, NOT plywood, real springs and tons of reinforced corners and joints in preparation for a long tough life living with your kids, animals, relatives or any other creatures that use your furniture. See below and visit Saugerties Furniture Mart on Main St. in Saugerties to see our full selection of better quality Made in USA furniture in our showroom 7 days a week! All high-stress joints are double-dowelled, glued, screwed, and reinforced with solid maple corner blocks, making them extremely durable. Legs are built directly into frames, not attached separately as a final step. All frames are assembled by hand by skilled experts. All Smith Brothers frames are built from the finest kiln-dried maple hardwoods. Our lumber is cut and our frames are assembled by our own experienced craftsmen at our facilities in Berne. We do not outsource our framing as many furniture manufacturers do. The critical, load-bearing front and back rails are made of 1 1/4″ solid maple lumber for superior strength and to eliminate warping in the frame. We offer a lifetime warranty on every frame, guaranteed against warping or breakage. Sometimes you feel like a pillow back, sometimes you don’t! 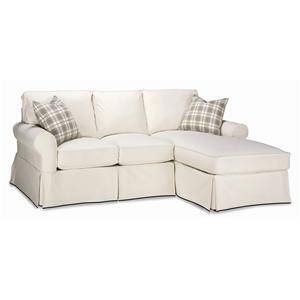 We have a huge selection of tight back sofas all available in a choice of fabric or leather. 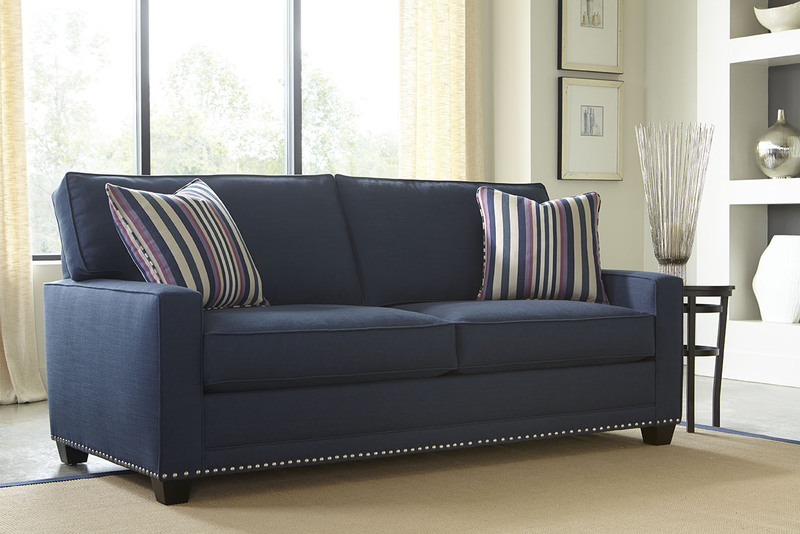 All our sofas are Made in the USA. There are two cushion and 3 cushion couches with tight backs as well as sofa sleepers available too. Why would I buy a tight back sofa or sectional? Below are a few of our better selling tight back or attached back sofas. We have many more in our showroom on Main St. in Saugerties, open 7 days a week! Come to Saugerties Furniture Mart and see the difference experience and better quality furniture can make. Life is busy and your busy living with it. Theres no time to deal with stains and dirty furniture. Rowe Furniture has a solution for you. Slipcovered furniture that’s washable. 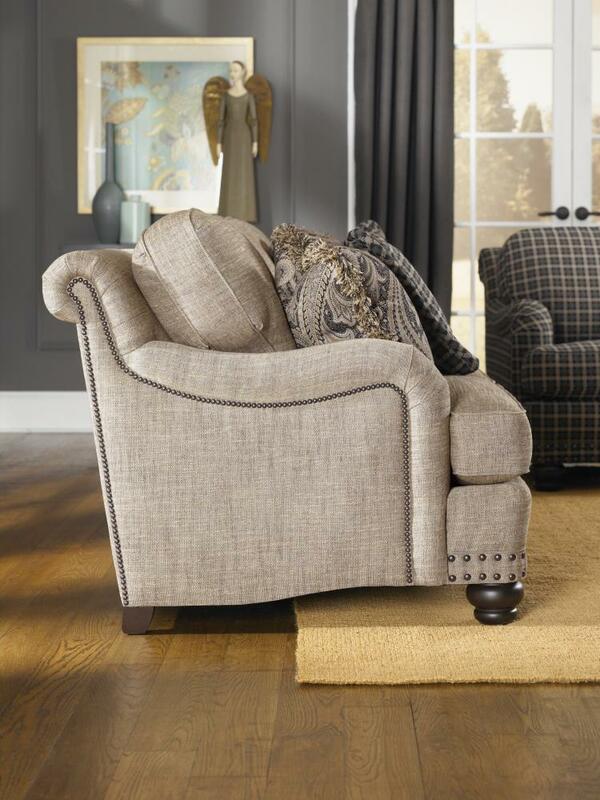 Choose from over 100 washable fabric choices to complement your new slipcovered furniture. We stock a large assortment of slipcovered living furniture including sofas, loveseats, sectionals, sleeper sofas and chairs of various styles and sizes. Stop by Saugerties Furniture Mart to see our slipcovered furniture today! 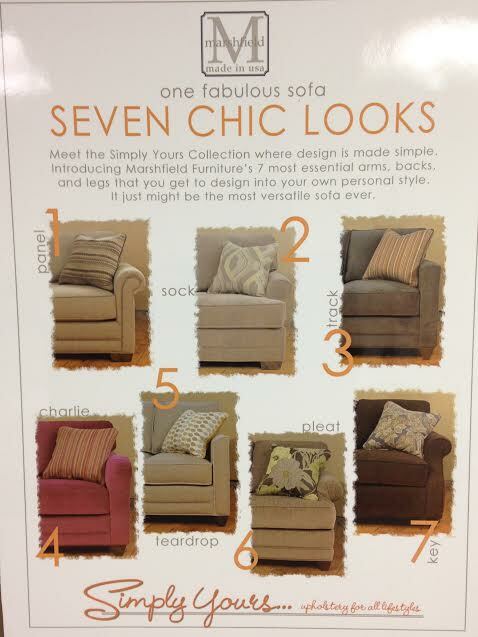 One couch style with seven great looks! Simply Yours from Marshfield is an excellent program for those who love choice but hate paying for it. 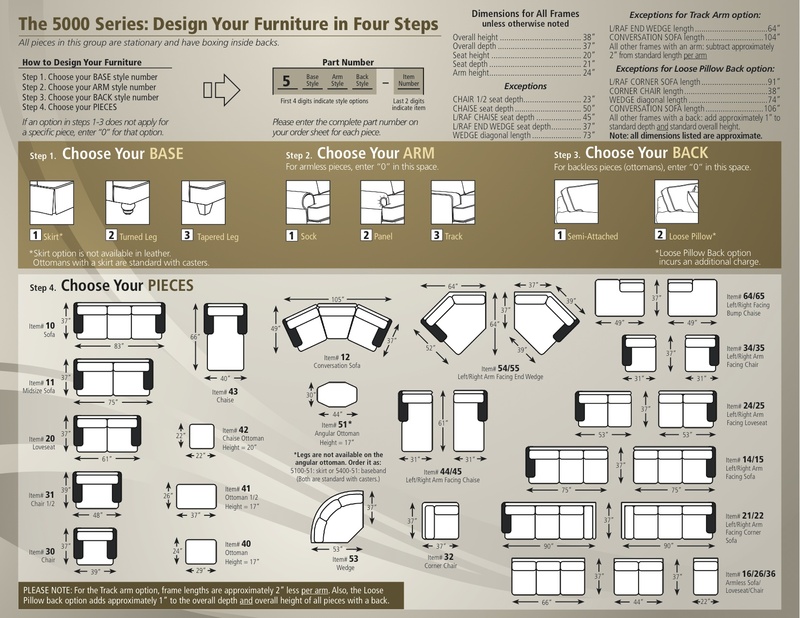 Choose the size of the sofa you want and then choose any optional arm, base or back design all for one low price. 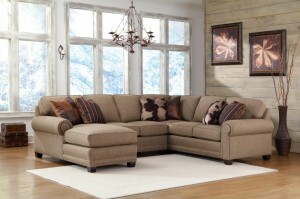 Sofas, loveseats, chair, and sectionals can all be configured and built with any option you like. Marshfield is built with a hardwood frame and heavy duty coils in the seat deck to maintain the integrity of the sofa under demanding daily use. 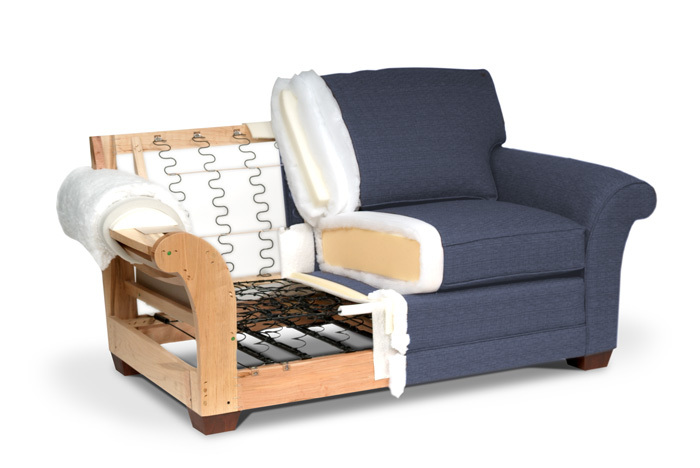 The cushions are made from 2.0 density high resiliency foam so they will maintain their shape and comfort for years of use. A wide choice of materials are available, many at no extra charge, so you can match any decor. Of course you’ll only know if this is right for you if you stop by Main St, in Saugerties and give it the sit test. We’re open 7 days a week. Shopping for furniture is tough. So many options! At Saugerties Furniture let us use our experience to help you find the furniture you want! As a 3rd Generation owner I look for collections that give my customers lots of choice and one of the BEST seats in the store is the Smith Brothers of Berne 5000 series. The 5000 is available in numerous pieces including 2 different sized sofas, love seats, chairs, and sectionals of every configuration. 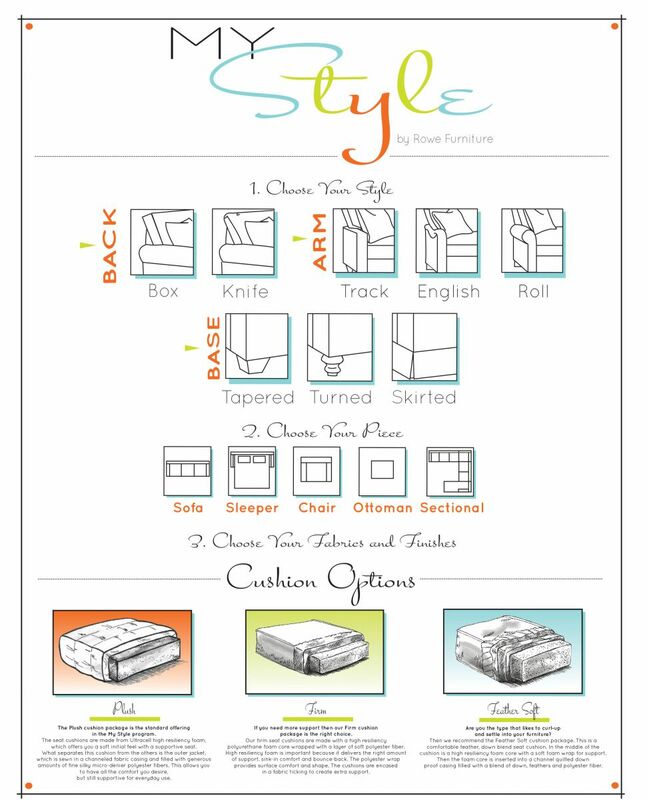 The choice doesn’t end with just the type of piece but you actually get to pick the arm style, base style and back style. First choose from FABRIC or LEATHER to best suite your needs. Smith Brothers of Berne offers over 800 fabrics and 80 top-grain leathers. Special orders are delivered within 35 days. Backs- Available as a semi-attached back or loose pillow back style. Click on the brochure below to experience the Smith Brothers of Berne 5000 on our website or visit us 7 days a week in Saugerties, NY to see it in person. 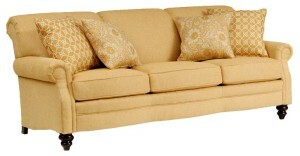 We carry a representation of sofas and sectionals from the Smith Brothers 5000 group on our floor. Who doesn’t like to lay back and kick their feet up? 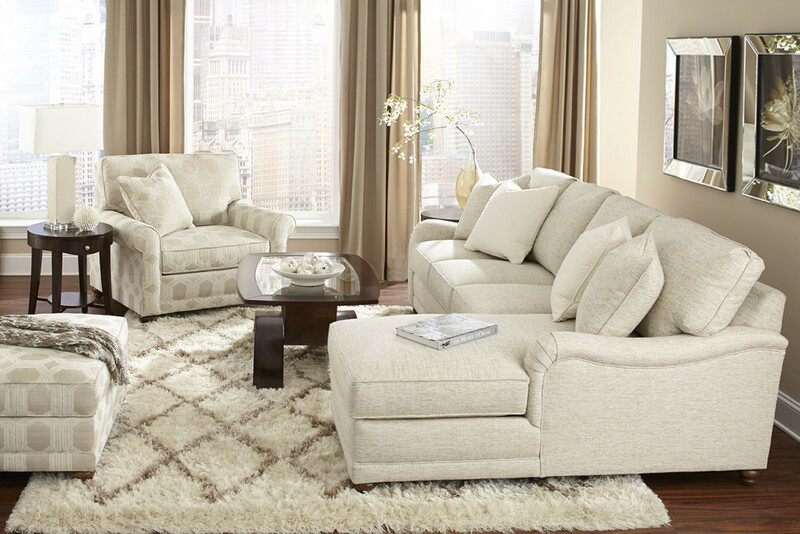 A chaise sectional is just the thing to spruce your living room! Saugerties Furniture has a great selection of chaise sectionals to fit any spot in the house. Need something a little smaller? Here are a great group of small chaise sectionals all in stock and on display at Saugerties Furniture. 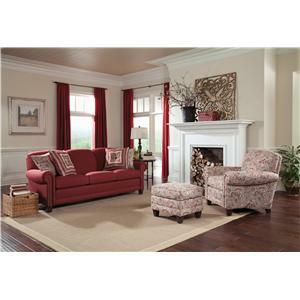 These sectionals are available in a choice of over 500 fabrics and all Made in the USA for years of care-free use!